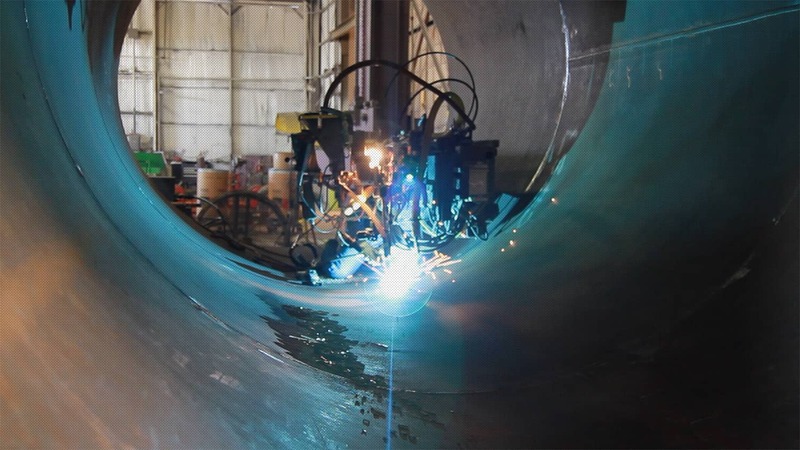 We understand that vessel fabrication encompasses more than the hard working employees in the shop. It begins with the first time we communicate with our customer during the quoting of a project, the engineering design, project management, QA/QC and production. Our “For You” attitude ensures we are all working together to provide the highest quality product and great communication to our customers so they enjoy the Boardman experience. 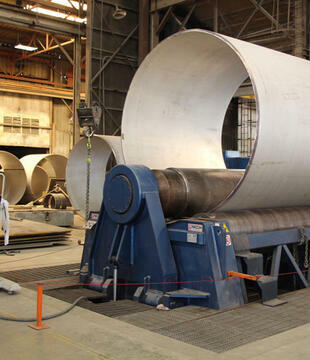 We care about our customer’s experience with Boardman and work hard to continuously improve to be the most sought after fabricator in the U.S.
Our fabrication capabilities allow us to take difficult customer specifications and complete fabrication of vessels up to 200’ in length, 350 tons, 16’ diameter and 4” thick while utilizing a wide array of materials. 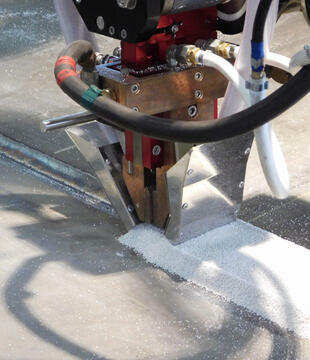 Our welding processes give us a competitive advantage, including the brand new strip overlay head used on clad material. Boardman has in-house rolling capabilities up to 3.5”. 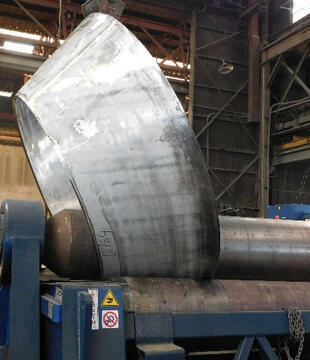 Utilizing our plate roll, Boardman has the expertise to roll cones for our projects. 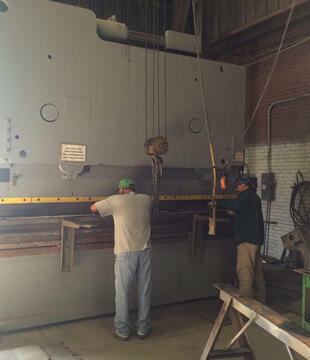 Boardman’s in-house press brake capabilities allow us to ensure the project meets our high quality standards.